Manage Your Household Finances Better... and Easier! The professionals at Roche Financial have made personal financial management even easier with our NEW! Roche System Household Manager. In this interview with ​BeTheBoss.ca, Ron provides a glimpse into the history of the company and how it has evolved into a respected franchise-driven with a totally integrated accounting and financial planning service offering. 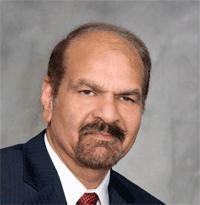 Since Ken Kapur, PhD, FCGA, PMgr. purchased the Roche Financial Group office in Whitby, Ontario, he has brought extraordinary service to local private and business clients. BeTheBoss.ca has selected Roche Financial as one of Ontario’s Best Franchise systems, earning it the designation of "Approved Franchisor". The pros and cons of 'do-it-yourself' tax software. “Should I hire a professional or do it myself?” It's a question a lot of people ask these days. New website... same Roche professional service! 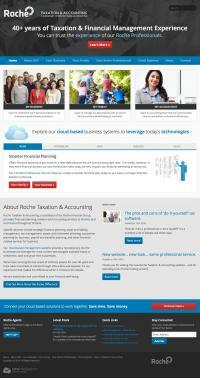 Thank you for visiting the new Roche Taxation & Accounting website... and for spending a bit of time looking around. Learn more about our franchise opportunities. Connect your cloud-based solutions to work together. Save time. Save money. Click the link below to login to the Roche Agents area. Enter your email address to receive News & Updates from Roche.